All around the world, Australia is renowned for its beaches, and it isn’t hard to see why: with some of the longest stretches of sand-covered coast line in the world, Oz’s beaches are not only plentiful but also of an almost universally-high quality. Aussies take care of – and take pride in – our beaches, keeping them generally clean and pollution-free, but with so many to choose from, how is one to determine which beaches are a cut above the rest? Cable Beach, at Broome in Western Australia’s Kimberley region, is a 22 kilometre-long stretch of pure white sand, set against a backdrop of red ochre cliffs and fringed by the turquoise waters of the Indian Ocean. Ride a camel along the beach at sunrise or sunset. Let’s start with the beach, which enjoys dual popularity with those who like to swim in her protected waters and those who love to surf around the headland. On a day when it might be a little choppy everywhere else along the Coast, you can bet your bottom dollar there’s a protected corner at Burleigh in which to dip. Noosa Main Beach is the premier beach in the Noosa area. The waves here are rarely over one metre high, and the flat sandy bottom is ideal for beginners to the world of surfing. These conditions are possible because the beach faces north – one of the few beaches in Queensland that does so. This makes the waves smaller, the sand flatter, and a safe place for swimming all year. Apart from its length, there are many more impressive things about this rugged stretch of sand on the east coast of Fraser Island. It’s where you’ll find the Maheno shipwreck, the popular swimming spot known as Champagne Pools and the striking volcanic rock formation of Indian Head. The beach itself is not a safe place to swim due to dangerous currents and a large shark population. It’s also a landing strip for light aircraft so be sure to take care when you are cruising along the sand in your four wheel drive. Mandalay Beach is a great stop en route between Manjimup and Walpole. 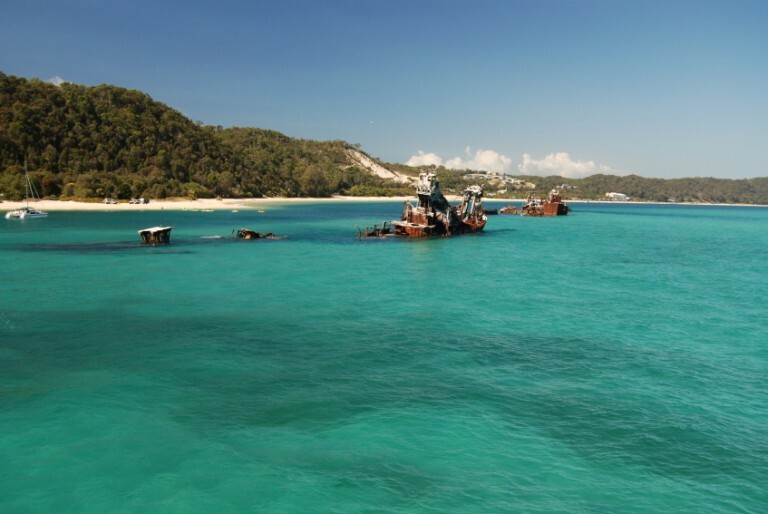 Worth a visit purely for the stunning beach scenery, the lucky visitor may be fortunate enough to glimpse the wreck of the Mandalay, which can still be seen poking out of the rough waters of the Southern Ocean when the tides are low. Byron’s beaches are like a dream come true, which sounds like a cliché until you experience them. If Australia does one thing really well, it has to be the beaches, and Byron’s are among the best in Australia. Stretching between the headlands of the northern New South Wales coast, many are sheltered from the southerlies and offer great surf breaks. Clean and undeveloped, the beaches are not overcrowded with high-rises, or in fact with buildings of any sort. The island is reserved for the fortunate few who will experience an unforgettable holiday like no other. Enjoy secluded picnics and sunset beach degustation on private beaches. Bondi Beach is one of the world’s most famous beaches and has come to be viewed as the quintessential Australian beach. It has played a central role in the development of Australia’s beach culture and in developing our sense of national identity. Visitors to Bondi Beach can experience the natural features of the beach or those that have been constructed such as promenades, parks, sea baths and the surf pavilion.